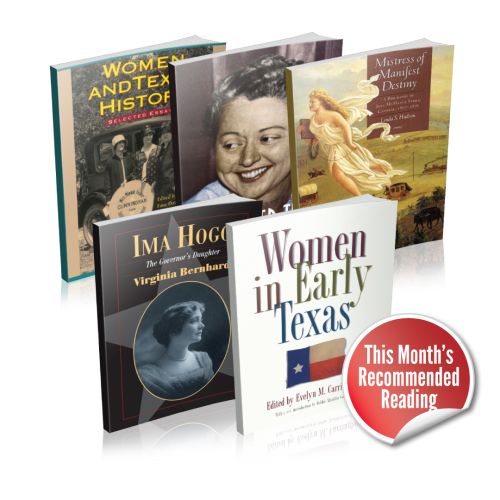 Through the Handbook of Texas Women Project, TSHA seeks to teach others the important history of the notable women of Texas. These women broke down many barriers to create new opportunities for the following generations. It is important to understand how they achieved their successes, so you, a part of the next generation of leaders, can build on their accomplishments in the future. Below, you will find a bundle packed with a lot of information on Texas women’s history that you can download for free. This information will help in your study of history for and outside of school. We will be adding many more resources soon, so return often to learn more about Texas women’s history and what TSHA has to offer students. Download the bundle today! Featured articles from the Texas Historian, our journal made by students like you. Additional articles from Touchstone, our journal for undergraduate college students. Links to articles from the Texas Almanac focusing on some of the most influential women in our state’s past. Webinars from our Texas Talks series specifically relating to Texas women’s history. © 2017 TEXAS STATE HISTORICAL ASSOCIATION. ALL RIGHTS RESERVED.